Fashion Vitamins: Outfit: Casual Sunday. Sunday, my favorite day of the week. No work, no alarm clock in the morning, a whole day I can spend with the people I love. Now that it's Spring and the weather is good, we can just chill and eat in the garden with the family, so cosy! I always put on a good outfit on Sunday because that's the only day I have time to take pictures, no sweatpants for me! 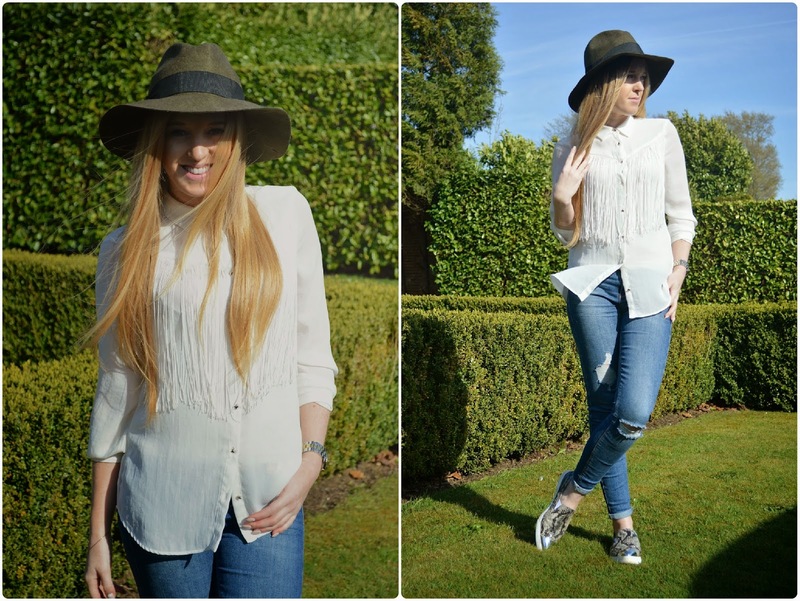 Today I was wearing a ripped jeans with a simple fringe blouse and my fedora hat. 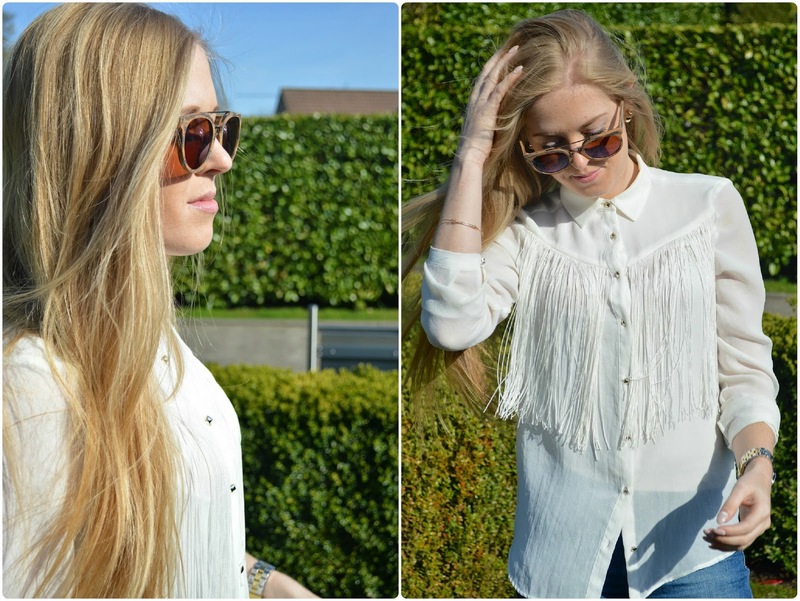 I bought this blouse 3 years ago in sales, lucky me I can wear it again since the fringe trend is back! I'm also wearing my new Polette sunglasses! Zondag, mijn favoriete dag van de week.